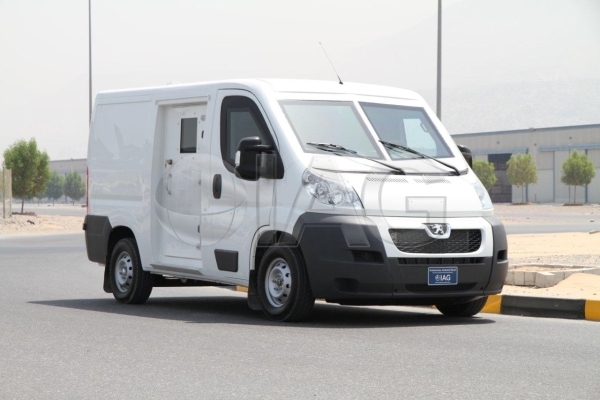 Another suitable armored cash transport truck platform would be the International series of heavy duty truck chassis. 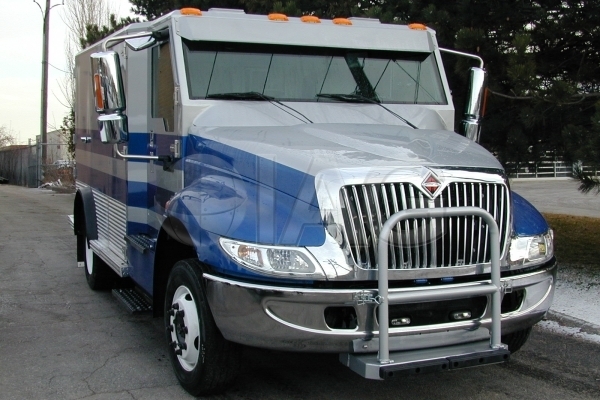 Armored cash-in-transit trucks can be built on commercial truck chassis such as the Ford F550 Super Duty. 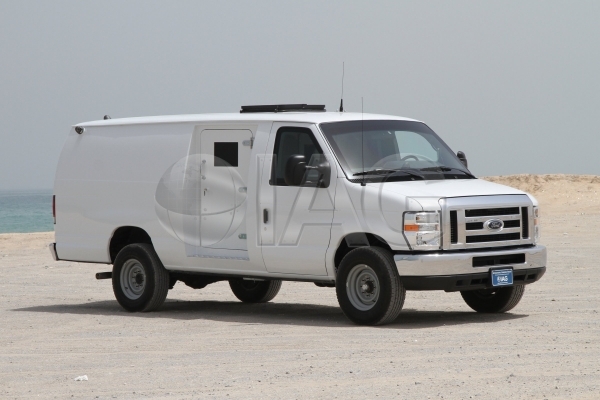 Commercial vans such as the Ford E350 and GMC Savana are suitable for armored cash-in-transit van conversion. 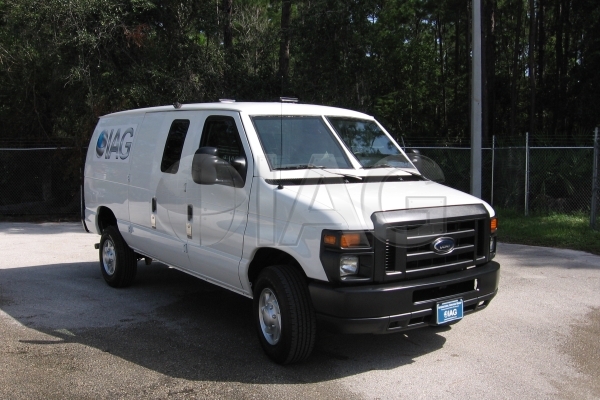 Ford E350 armored cash-in-transit van, outfitted with roof escape hatch, side modular door, and communication system. 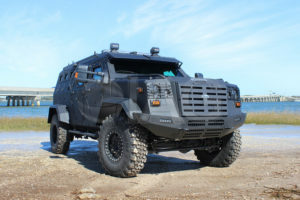 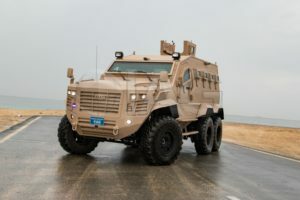 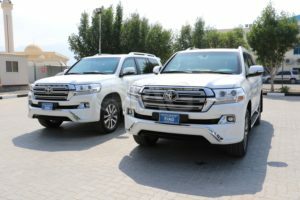 European platforms such as the Peogeot Boxer and Mercedes Benz Sprinter are also suitable armored car platforms, available in both LHD and RHD. 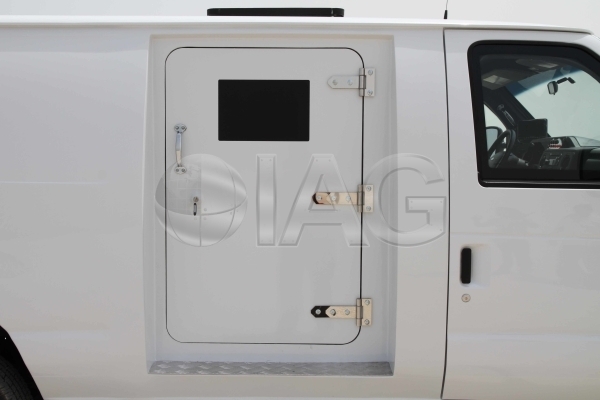 Armored truck rear cargo compartment, customized to the client's required configuration. 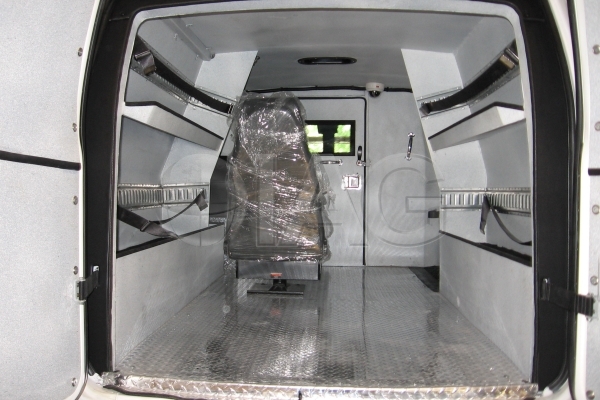 Armored cash transport van rear cargo compartment, equipped with tie downs, seating and security camera. 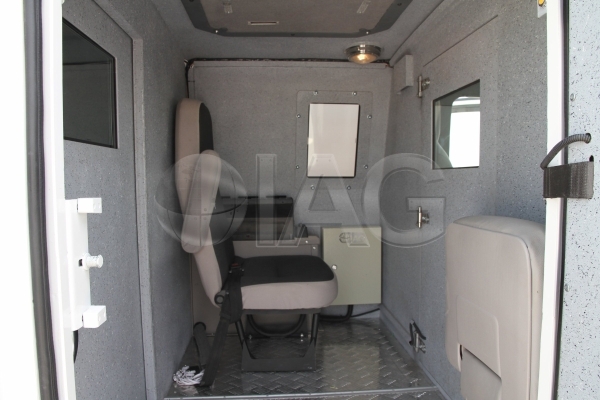 Messenger compartment in the middle of the armored car, designed to seat multiple guards. 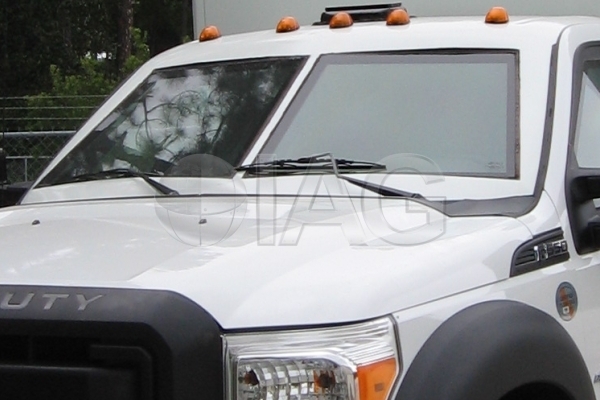 Armored cash-in-transit front windshield - dual ballistic glass panel configuration. 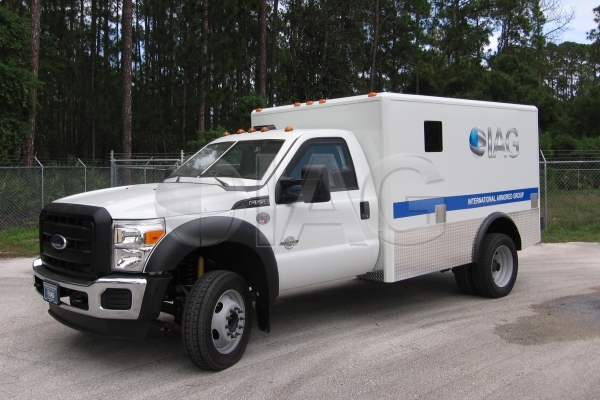 Armored cash transport truck with single rear door and high security locking mechanism. 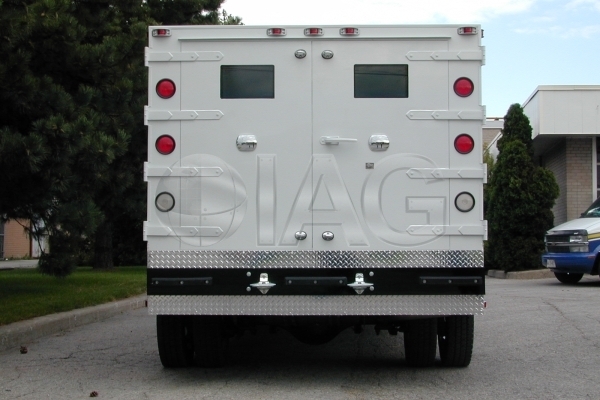 Armored cash transport truck with dual rear doors and high security locking mechanism. 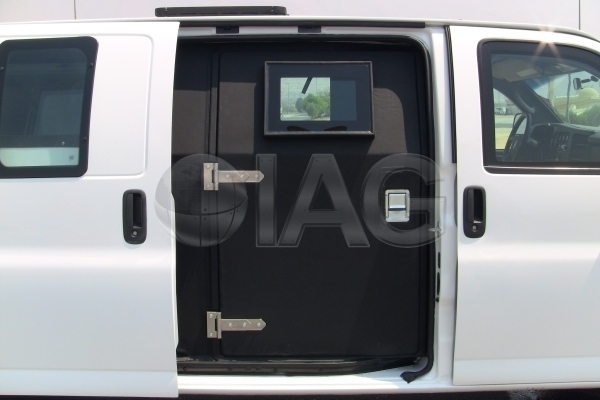 Armored side armored modular door, replaces OEM split or sliding doors. 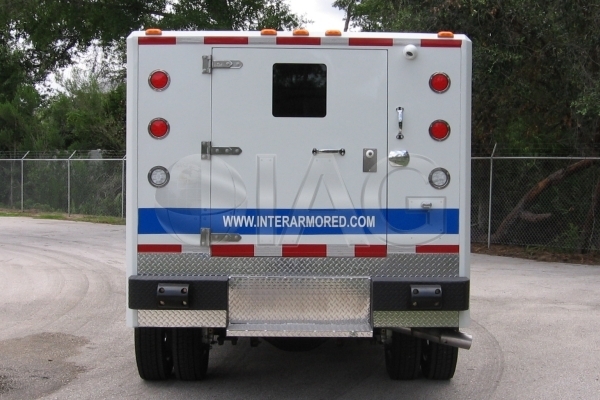 Armored cash truck side armored door with ballistic glass for enhance visibility. 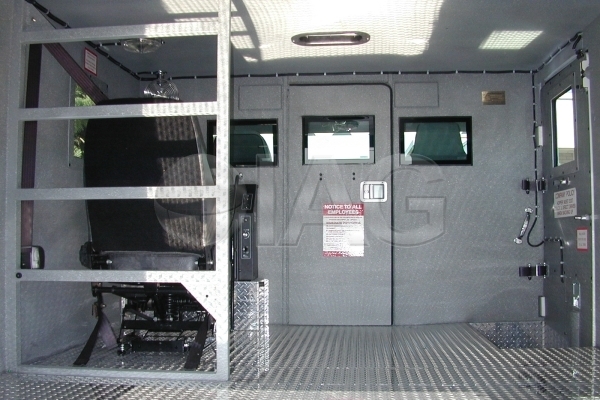 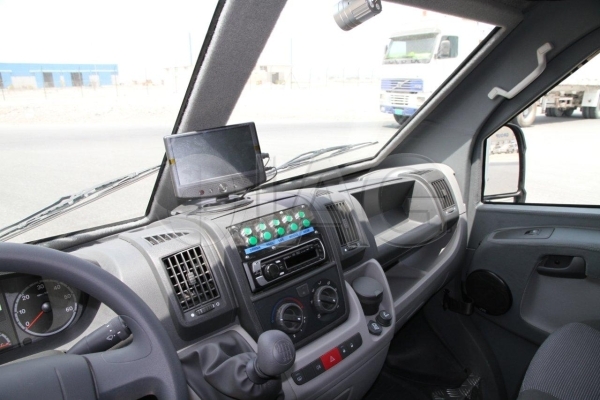 Armored cash-in-transit truck driver cabin with control panel, CCTV, and central locking system.